The Lancashire Cook Book – A celebration of the most amazing food and drink available right on our doorsteps. Varying from pubs, farms, to shops. 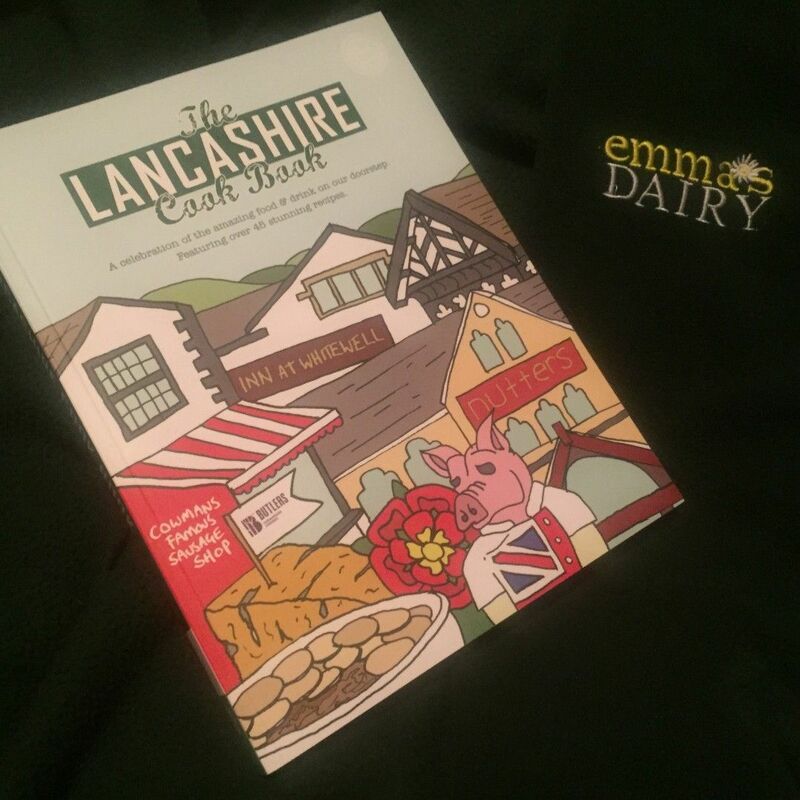 Released in June 2016, this high quality paperback cook book is brimming with stunning recipes alongside a tale or two from each business proudly advertised across the 224 pages of the Lancashire Cook Book. Featuring our very own special organic recipes plus lots more. From our farm’s history going way back to the 1960’s and of course, our current farmers; Ian O’Reilly and Emma Robinson. Everything you need to know is included in this book, from a day in the life of Ian, Emma and the rest of the family including our wonderful animals down at Gazegill Farm and what we aim to achieve in the future – All covered in our eight page spread. Displayed across eight pages in the Lancashire Cook Book, this exceptional cook book delivers a finer vision of where your organic products come from and hopefully answers any questions, from why we choose to be organic, the breed of our beautiful animals and why you shouldn’t waste your money on a gym membership. Please note orders must be over £20 to be entitled to free delivery. Free Lancashire Cook Book with orders over £200.